^ UEFA Cup to become UEFA Europa League. UEFA. 2008-03-28 [2008-03-28]. 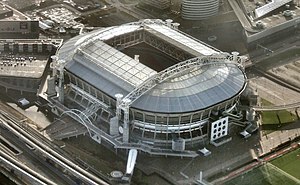 ^ Wembley, Amsterdam ArenA, Prague get 2013 finals. UEFA. 2011-06-16 [2011-06-16]. （原始内容存档于2011-06-19）. ^ Norway wins UEFA Respect Fair Play ranking. UEFA. 2012年5月7日. ^ Twente toch Europa in dankzij fairplay-klassement. demorgen.be. 13 May 2012 （荷兰语）. ^ UEFA sperrt Sigma Olomouc. Financial Times Deutschland. 20 June 2012. （原始内容存档于2 August 2012） （德语）. ^ 10.0 10.1 UEFA Champions League and UEFA Europa League quarter-final draws. UEFA. 2013年3月5日. ^ Seeding in the Europa League 2012/2013. Bert Kassies. （原始内容存档于2012-12-20）. ^ 欧足联对阿诺索西斯开出罚单. cn.UEFA.com. 2012年8月14日. （原始内容存档于2012年8月17日）.